Now that it has been about a month since the 10 year anniversary of the 9/11 attacks in the U.S., I have had some time to reflect on the enduring significance of the skyscraper. With One World Trade Center finally starting to form a new image in the Manhattan skyline, we see that in spite of protestations to building such a tower on sacred ground, construction crews move ahead to realize what will perhaps be the city’s most ambitious project in years. Some question why it has taken so long to get to this point while others still see the entire rebuilding effort as an affront to the memory of tragedy. It really seems not long ago at all- I was barely into my third week of architecture school at the University of Southern California when terrorist attacks brought down the Twin Towers. Despite living in America’s second largest city at the time, it was difficult to fathom the horror that was taking place across the country in New York. Like everyone else around the world, my classmates and I watched the television in shock as we tried to process what was happening. In the days and weeks that followed, I expected there to be some discussion in my classes about the symbolic power of architecture- more specifically an in-depth analysis as to why the World Trade Center was the target of such an attack. Surprisingly, my instructors were reluctant to talk about this topic and instead centered most of the discussions around debating the technical details about how the buildings failed. Looking back, it is clear why Al-Qaeda chose the World Trade Center and the Pentagon, America’s respective symbols of commercial and military strength, as targets for attack. Yet why did my architecture professors fail to acknowledge this at the time? For the younger instructors, I suspect the modernist paradigm had already ceased to be relevant since architectural historian Charles Jencks declared the death of modern architecture when Pruitt-Igoe, a failed public housing project in St. Louis designed by Minoru Yamasaki (who also designed the ill-fated World Trade Center), was imploded in 1972. For this generation of architects who were educated in the 1980’s and 90’s, it was the tongue-in-cheek classicism of post-modernism and the cynical musings of deconstructivists like Peter Eisenman and Bernard Tschumi who influenced their outlook. To them, I presume, the World Trade Center was already a dinosaur from another era long before the attacks that brought the towers down. For the older generation of tenured professors, to question why the World Trade Center was the target of terrorist attacks was to question the entire legitimacy of the modernist project in the U.S.A. These are individuals whose careers fortuitously coincided with the golden age of American prosperity during the 1950’s, 60’s and 70’s. In retrospect, perhaps it was out of a sense of respect to the modernist paradigm in which they believed and spent their careers teaching aspiring architects that they not publicly question the ‘why’ of 9/11. It was not until my first full-time job after graduating in the summer of 2006 that I fully grasped the symbolic power of architecture, specifically the skyscraper building type. I worked for an architect by the name of Richard Keating, who spent most of his career in the 1970’s and 80’s as a partner at Skidmore, Owings and Merrill (SOM), the gold standard in American corporate high-rise design. While at SOM, Keating designed several of the commercial office towers that define the skylines of cities like Houston, Dallas, and Los Angeles. While many architects and commentators declared the end of the tall building type after 9/11, Keating was not among them. On the contrary, he understood the enduring appeal of skyscrapers not only to property developers and government officials, but also to the common man as an aspirational device. 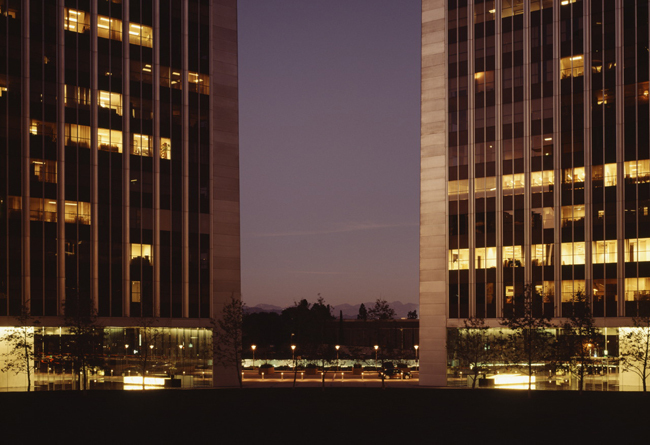 Coincidentally, the first project I worked on in Keating’s office was a lobby renovation for Minoru Yamasaki’s other twin towers- the triangulated Century Plaza Towers in the Century City section of Los Angeles- originally built in 1975. Rather than let the modernist icon be relegated to the dust bin of history, we were tasked with updating the project’s public spaces with a 21st Century twist. Building tall is somewhat formulaic as the considerations of natural forces such as gravity, wind, severe weather and potential seismic activity are always taken into great account when designing high-rise buildings anywhere in the world. Being as such, skyscrapers are just as much feats of engineering as they are architecture. In fact, some of the most recognizable skyscrapers make use of structure as the central focus of their architectural expression. 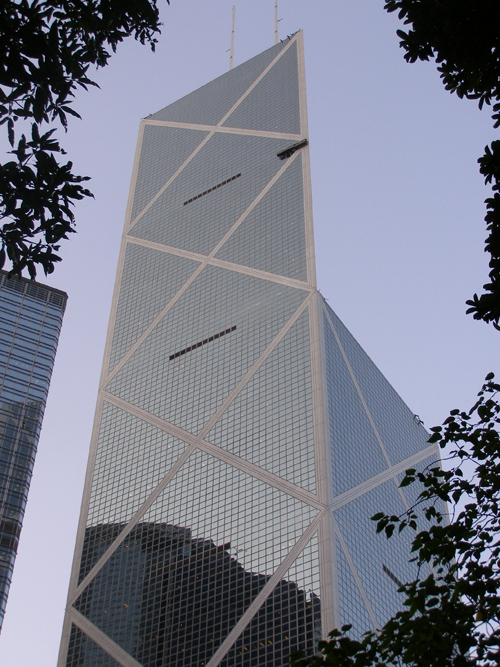 One only needs to think of the cross-bracing structures of the Hancock Tower in Chicago or Bank of China building in Hong Kong to be reminded of this. Today the trend in high-rise design is not structural, but formal expression. Rather than being exposed for all to see, structure is now most often hidden behind shimmering glass curtain-walls while the towers twist and torque upwards. Thanks to computer programs that allow architects to explore unconventional forms, skyscrapers need not be strictly Cartesian in nature. 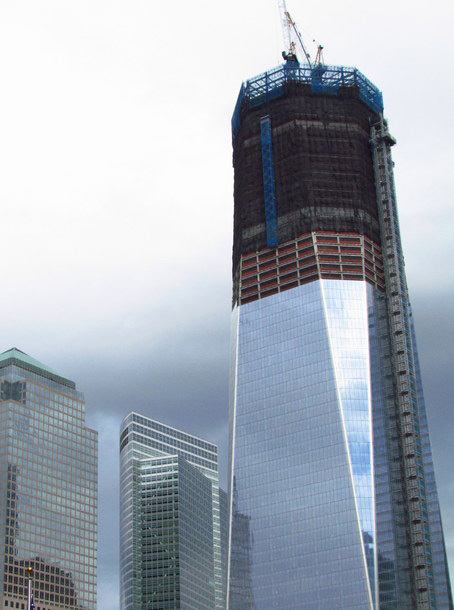 The ongoing economic crises in Europe and the U.S. put a dent into the skyscraper building program in the Western world. This is not the case in developing nations, especially China, where towers are rising in myriad cities across the country. When it comes to building the high-profile ‘supertall’ towers (buildings over 300 meter tall), Chinese clients still prefer to outsource the design to the experts with a track record in high-rise design, namely American firms like SOM, KPF, and Smith+Gill. Yet these marquee projects do not account for nearly the thousands of other tall buildings over 100 meters being built in China, both in central business districts and outlying suburban areas. Most of these towers are nondescript and serve the straightforward purpose of housing an increasingly urbanized population. Perhaps bland on an individual level, collectively the high-rises that define rising skylines in Chinese cities represent the aspirations of an upwardly mobile population. Cynics would argue that high-rise buildings in reality represent nothing more than real estate developer greed, benefiting few while exploiting the working class for cheap construction labor. While criticisms have their merit, the overwhelming consensus in China is in favor of a modernization program that includes the construction of tall buildings. Not long ago I was walking down the new ‘financial street’ in Chengdu near my home where several new high-rise buildings between 150 and 200 meters tall are currently under construction. I noticed a beat-up car with license plates from a small Sichuan Provincial town stopped at a red light. Inside the car was a family of two parents and a child, looking up in awe at the glistening new skyline. I knew at that moment that it didn’t matter if they never set foot inside those new buildings…what the towers represent was enough to inspire a sense of awestruck wonder in this family. And while American economists continue to bash China’s urbanization process, calling this the ‘biggest real estate bubble ever’, they tend to forget that it was in America that the skyscraper was invented and perfected. There is a certain universality of a desire to reach for the heavens, and China’s urban areas are the best reminders of that today.